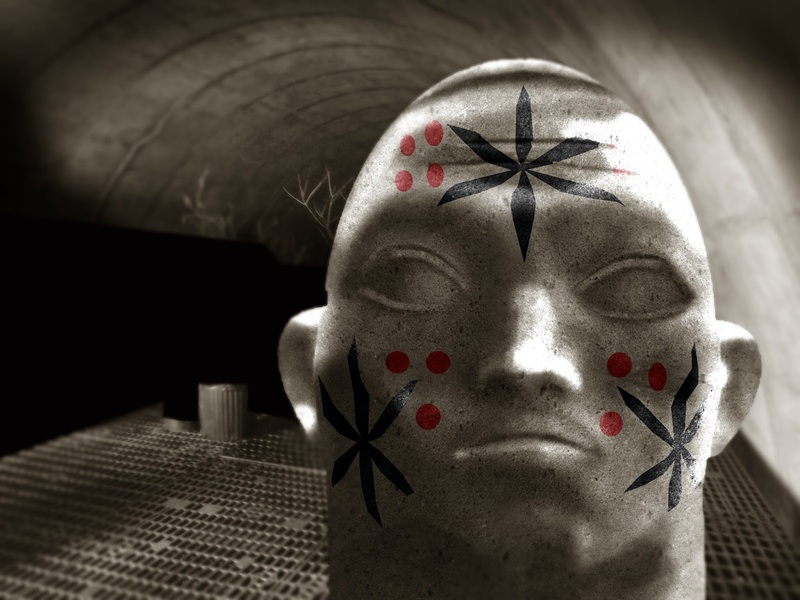 There is this legend, that I’ve heard many times when I as a little kid, about a very advanced culture hidden in the middle of the Amazon Rainforest, pretty much like the Black Panther city of Wakanda, which was conceived and built by a very beautiful and intelligent Japanese woman surrounded by wisdom and magic. This legend haunted me for a long time, I even drew it in my first grade school notebook, I remember that when I was doing the drawing, my father was watching a Soccer game of the World Cup, (possibly in the year of 1974), and every year that there are Brazilian games in the cup, this woman come back to my mind together with the whole story. I don’t know exactly how this all started, as I lived in a house with more than four grandmother’s brothers and sisters, all of them from my paternal side, I never found out exactly who told that story, whether it was true or not. It is a fact that from this point onwards I may have been so interested in Japanese culture and believed that if we used Japanese elements, we might have had a better Brazil ( it is important to mention that here in Brazil we have the second largest colony o Japanese people outside of Japan). 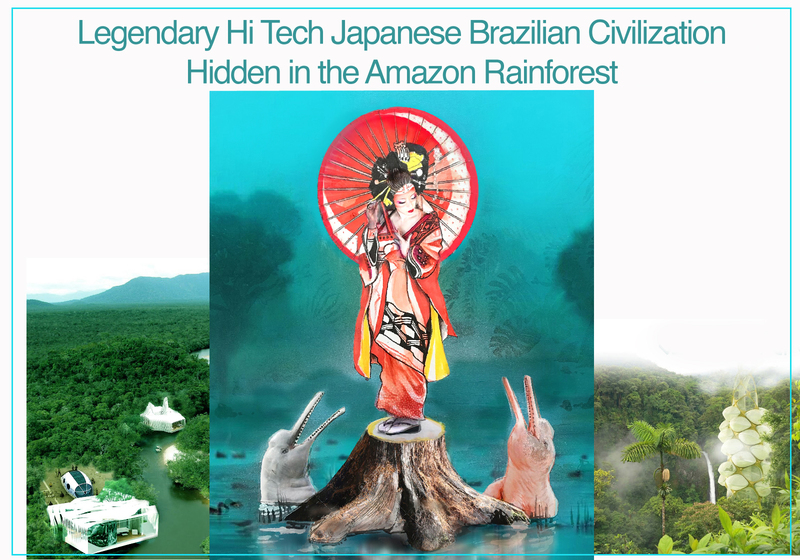 Now, as it is the time of Brazilian games in the World Cup, I decided to put an end to the mystery and I started to investigate this wise Japanese lady in the Amazon Rainforests - I must say that it started as a frustrating investigation, nobody knew about her, not even Google. I have tried other aproaches in my research, maybe this incident has something to do with the Soccer World Cup. The only thing I found was the incredible story about the death of Chico Xavier (Xavier was a very respected religious leader – read more about this day ), with Euripides Higino, his adopted son. "Chico Xavier always said he would disincarnate (‘to die’ as regard to Spiritist point of view) on the day that Brazil would partying and that I would not have time to think about his death. " That was exactly what happened, Chico "disembodied" on the very day that Brazil was on the party of the conquest of the fifth WC Championship, on June 30, 2002. Ok, but what does this have to do with the Japanese Lady from the Amazon Rainforest? Actually, I do not know, but I like the idea of seeing Brazil as a uniform mass of minds in a single, happy spirit. If we look at this crowd of happy Brazilians from a kardecist spiritist point of view, this seems to be a good energy, of a great volume - and it was with this thought, that I’ve decided to take a ‘energizing pass’ at a spiritist center, at exactly this time of year, this would make me receive a huge vibratory charge of good energy) - that's where the big coincidence comes in! Since I had no spiritist center near where I was working and the match of Brazil was about to start, I decided to stop at the Johrei Center in Vila Mariana (a neighborhood in São Paulo) while I was waiting for the pass, or rather to receive Johrei, I heard some ministers talking about one lady named Teruko Sato, the first woman to bring the culture of the Meishu-Sama’s enlightenment to Brazil. At that time I even shivered with such a coincidence, but the coolest was yet to come. Meishu-Sama believed in the construction of earth paradises, beautiful and inspiring gardens that increase the well being and spiritual energy of humanity - with that, the place chosen for her to start her work... wow! It was in a city called Manacapuru in the middle of the Amazon rainforest. At that time I interrupted the ministers and students who were talking to each other and then told them about the legend I had heard, about the secret civilization in the Amazon rainforest and the coincidence, "there is no such thing as coincidence," said the young man, “as like in spiritism, we believe that all this event had already been architected in more evolved plans, as happened with the passage of Chico Xavier”. As the explanation went on, he smiled and disappointed me a bit when he said that ther was not a Wakanda-type nation of Messianic church in the middle of the Amazon rainforest, "however, Mokiti Okada (岡田茂吉), the church's founder, who bears the honorific title of Meishu-Sama - 明主様, (Lord of Light), idealized rather a more evolved society, which builds teh so called ‘Holy Grounds’ around the world - beautiful places with nice architecture, clean technology and a great degree of development and harmony with the environment, as if they were islands of happiness and elegance amidst the chaos of the planet. 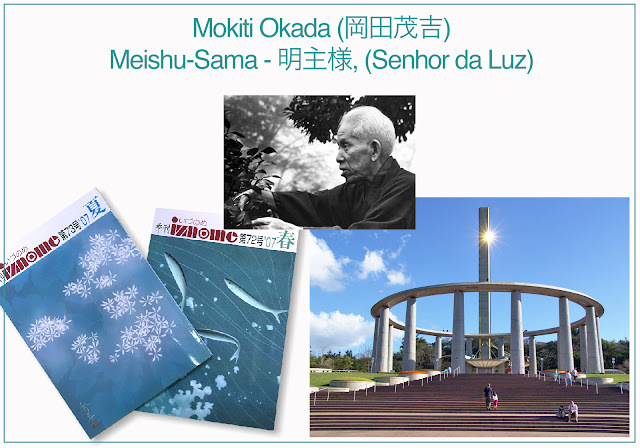 The Mokiti Okada Foundation develops research in agriculture, environmental recovery, healthy and affordable individual agriculture, healing and education and also encompasses the Ikebana Sanguetsu school which teaches the pragmatic principles of Mokiti Okada's philosophy through the ancient art of floral arrangement. 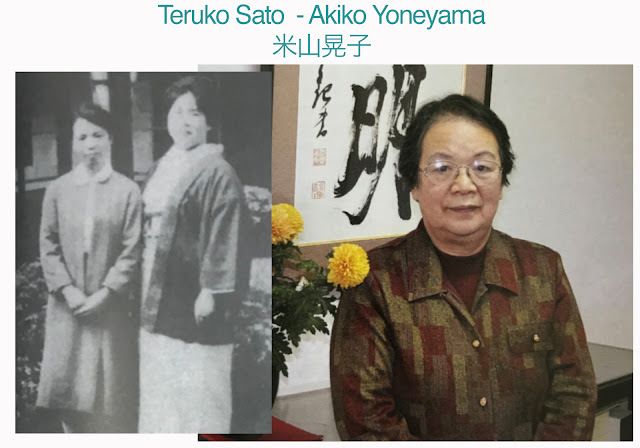 For me, Teruko Sato (佐藤輝子 who adopted the married name of Yoniyama 米山) is a living legend, the little information I had as a child made me create a fantastic story, with miscegenations of Brazilian and Japanese ethnicities, with extraordinary and sustainable technology , which may well have been true, but Teruko Sato's real life, which is also very little known by the IMM's own devotees, has attributes that surpass fantasy. Sato's story was revealed in an issue of the Japanese newspaper Izunome No. 72, written in Japanese, and I'll post the original text in Japanese and my translation - please feel free to correct me in any translation errors. 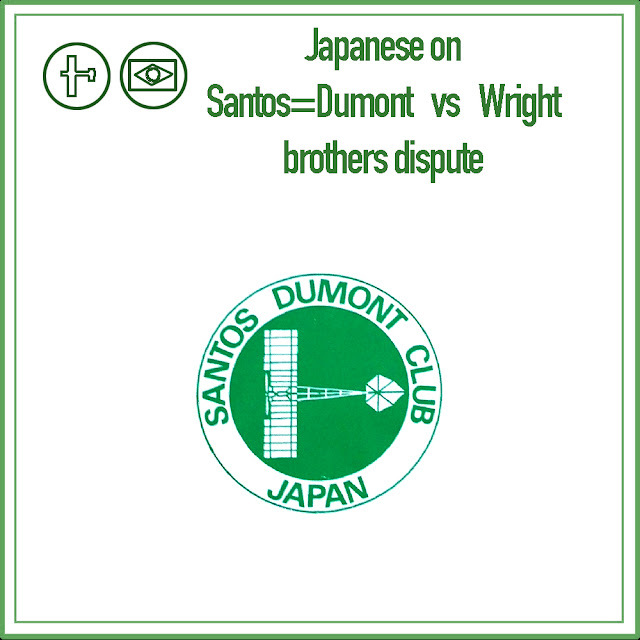 Translation of the first part. I was born in a small town south of Okayama on February 4th , 1936 (Showa / 昭和 - 11 is the year 1936). 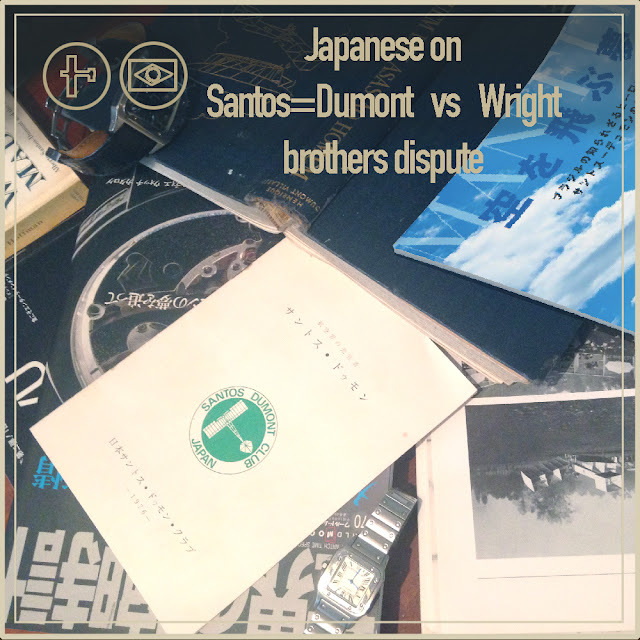 In mid-1945, at a time when the Messianic Church and its members had the nickname "Ohikari-san". In front of my house there was a family of Messianic Church follower, as my mother was sick, they use to come to give her Johrei, in 1952, we became members. Every month, the minister in charge of the Church use to give us lectures about the Spiritual World and the ancestors, the kind of stuff that we don’t learn in school, and then, I’ve reached the age of majority. 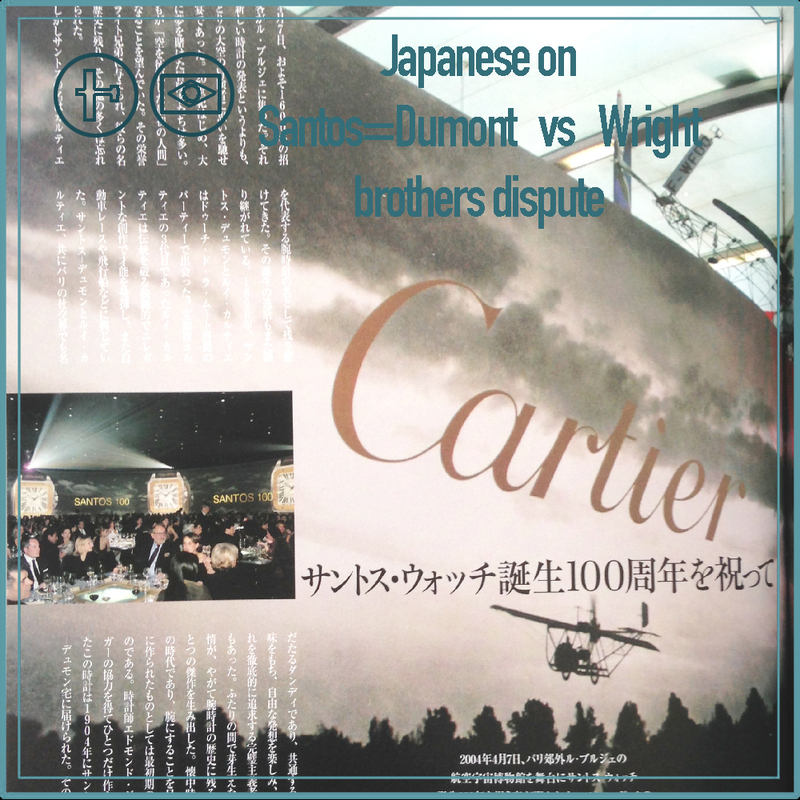 It was the year of 1945, the minister of this religious unit told us the reports of the missionaries Yamane the reports of the minister Kiyoko Higuti and Haruhiko Ajiki in Hawaii and the United States. 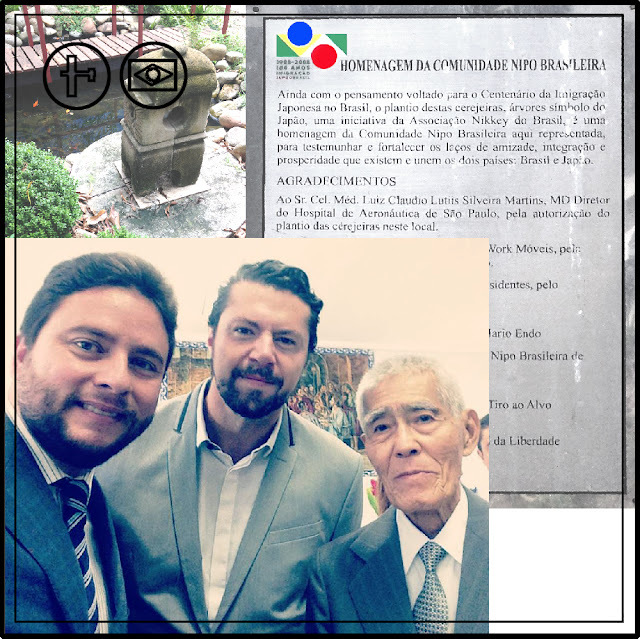 Listening to these stories, little by little, I began to cultivate the desire to dedicate myself to the diffusion of these teachings abroad, following the example of Minister Higuti. 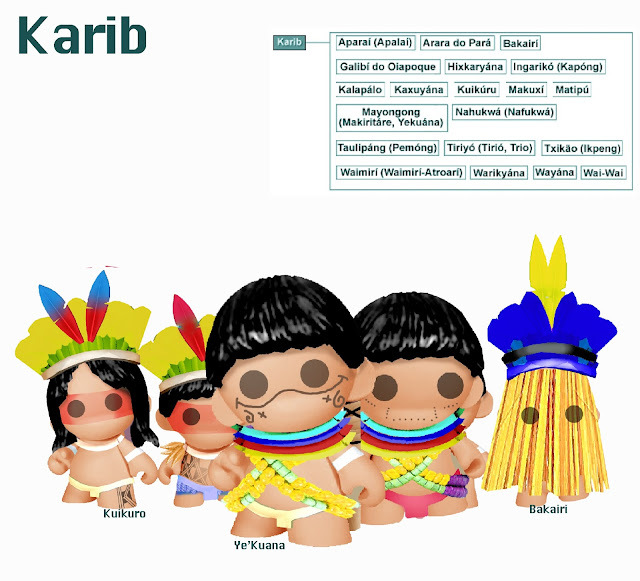 At that time, I learned that my family planned to immigrate to Brazil. 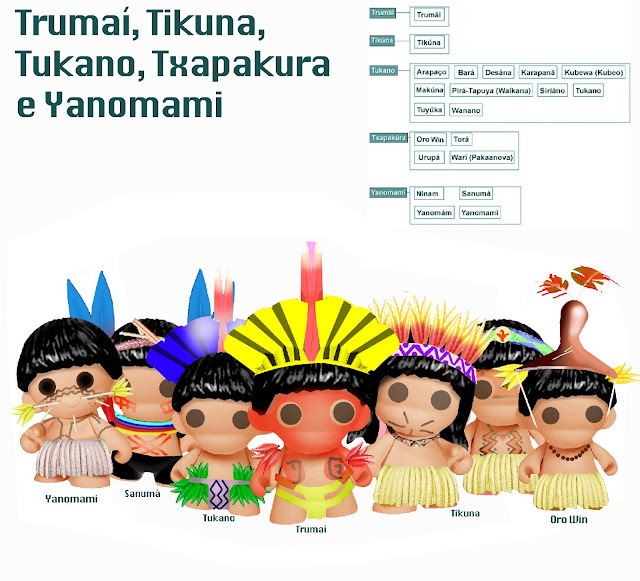 Aware of this possibility, Minister Yamane made a request to the Meishu-Sama, who immediately said, "Give her the image of God and Ohikari to take with her." In response to this response from Meishu-Sama, my certainty of going to Brazil was strengthened even more. However, during the immigration application process, my mother was afflicted with a vision problem that delayed our departure. 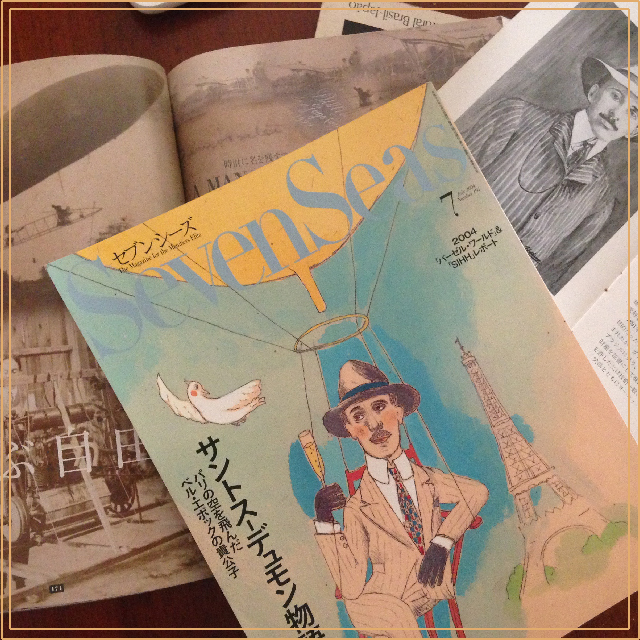 On September 25th , 1954 (Showa / 昭和-29), at age 18, I embarked on the ship America Maru that left the port of Kobe, I left Japan to Brazil, taking with me the strong desire to serve Meishu-Sama . I’ve never felt pessimistic, fear or sadness to depart alone. During the trip, the time I spent on the high seas was not easy, for long days I had to eat umeboshi (梅干 し - Chinese preserved plum) and Kayu (お 粥 also called congee, it is a cooked rice soup with meat) daily because of the seasickness caused by the sea voyage. After a break in Los Angeles to get some supply, fuel and groceries, we crossed the Panama Canal, arriving to the north of Brazil, in the port of Belém. We were transferred to a Brazilian ship and we went up the Amazon River. Since leaving Japan, two months had passed. 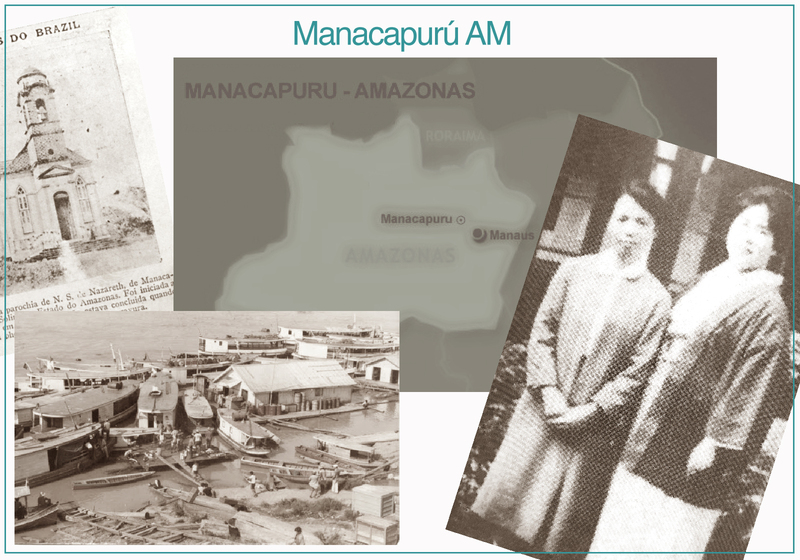 We arrived at the colony of Bela Vista, located in the state of Amazonas, district of Manacapuru, after a trip of 1,400 km. Until we got to the farm, it was necessary to walk about half a day. The place was in the middle of the forest, on either side of the clumsy road lived some families of settlers who sought to establish themselves there. There was no housing, water, electricity or facilities needed for everyday life, the reality there was quite different from the one I had in Okayama. Immediately, the men began to tear down trees to build settlements, and the women dedicated themselves to preparing food. Due to the tropical climate insects and mosquitoes use bit us day and night. We face many challenges in this age of adaptation. Groceries arrived regularly in a shop, located in a village that could only be accessed by boat, it take one day to carry everything in huge bags, women and children worked and were always sweaty, bubbles formed in my hands and then burst, we put towels to mitigate the pain, we slept at night in the middle of the logs, we heard several noises of animals, it was imperative that the fire never go out during the night, we did not know when and by what animal we could be attacked, we lived in days of inexhaustible fear and tension. In the midst of this harsh reality, at night, while everyone was asleep, I used to look at the stars through mosquito nets and cry, wondering, "What have I come to do in this place?" ... 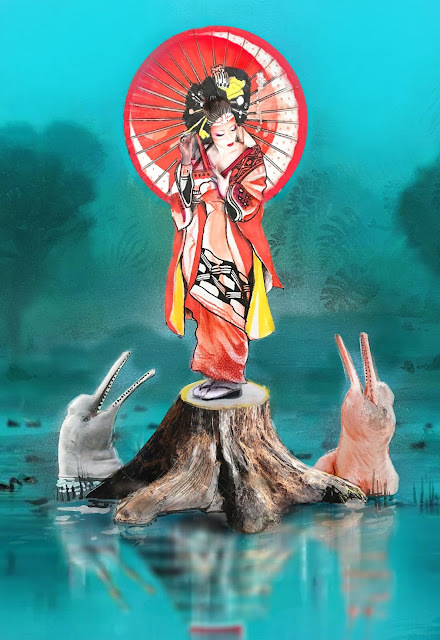 I wanted to serve Meishu Sama and came to the middle of the forest, to live a primitive life, without light or water. Did Meishu Sama abandon me? Why do I have to go through so much suffering? Are my parents looking at these same stars? Why did I come alone? Does Meishu Sama know about me here? On the other hand, I was thinking about my mission. 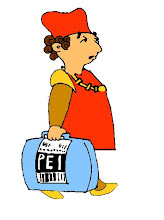 "Perhaps I can minister Johrei to the settlers ..." I began to minister Johrei to those who had the flu or with eczemas. However, they did not believe that I could heal illnesses, simply by putting my hands up towards them. The daughter of the family I was with start to spread rumors that I had mental problems, or something like that. Faced with such contempt, I decided not to talk about on Johrei or religion anymore; I began to work even more and chose to move away from the family with whom I came to Brazil. I lived with families who were in need of labor, skimmed the backyards of the houses, planted and made roasted sweet potatoes to serve them. Facing that, I thought, "If my mother comes, she will surely be sick with so much discomfort, the delicate hands of the brothers and sisters who grew up with the books, could not stand the hoes, if they come here, my family will be ruined. So, I wrote to my parents asking them to "give up coming to Brazil because I go through so many difficulties here." A few months later, after my letter arrived safe and sound in Japan, I received a letter back with my mother's reply, it sounded like a miracle, taking into consideration the reality in hand. I rapidly ripped the envelope, I was taken with emotion, it was so good to know that my parents had not forgotten me there; but the letter also brought me the sad news of Meishu Sama's ascent to the Spiritual World. Then I felt that he was looking at me, I cried a lot in mourning, it took too long for the sadness to pass. One day, in the middle of my work at the farm, Mr. Naito told me that he needed people to work with him. So, again by boat, I left for Monte Real in the district of Itacoatiara, near Parintins AM, taking with me the image of God and some Ohikari, he said that someone wanted to hire me. 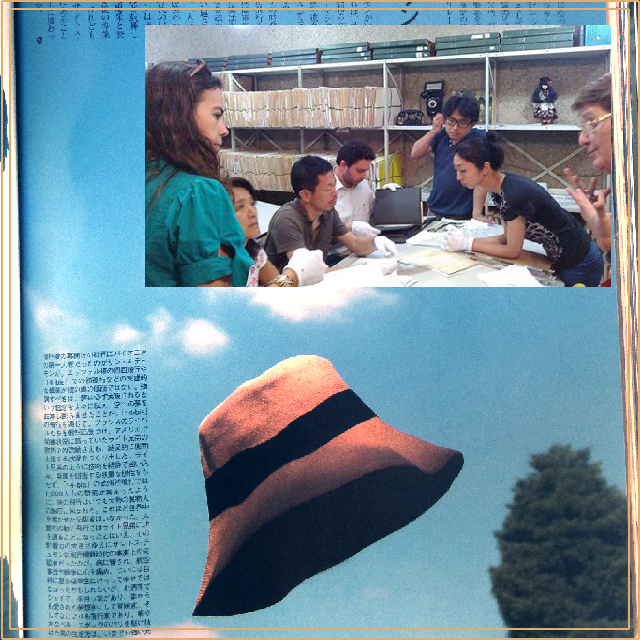 I went on another boat trip, carrying imperial clothes for Mr. Naito, and I chugged at a deserve, managed by Misuno-san. I worked during the day and during the night I tried to study Portuguese, under the precarious light of a lantern. 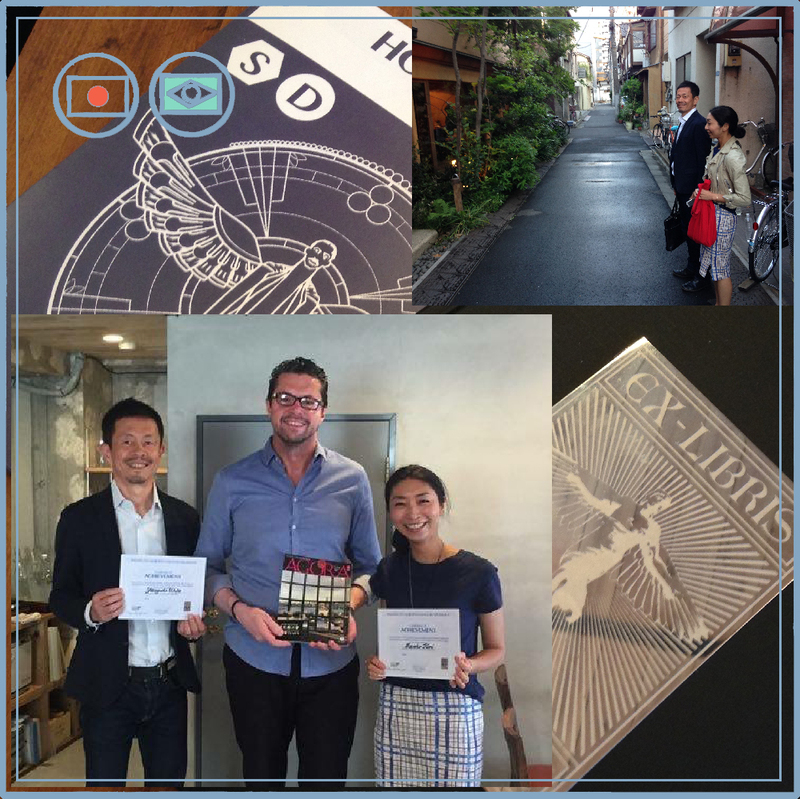 Initially, I had many difficulties with customs, language and food compared to life in Japan. However, that place was for me the paradise on earth, comparing to the life I had in the previous colony, in Bela Vista, everything had changed for the better. Mr. Shigaru's sweet wife treated me like a daughter. I learned the service and, in the midst of a new environment, again I endeavored to spread the Johrei, and to my delight, my stories began to be heard. This time I had changed my mind, now I could talk about Johrei, I tried hard to explain, although people often scratched their heads without understanding very well, but even so, little by little, more purified, people would better understand the proposal of all that. Some time later, more news arrived, I received a correspondence from my mother telling that after the rise of Meishu Sama, Mr. Yamane, a minister named Nobuhiko Shoda asked me to go to Curitiba ( a urban metropolis in the south region of Brazil) with him.. .
As the dear reader should know, I consider myself an Omni Religious person, I believe, study, and respect all religions and value them for the good they promote. 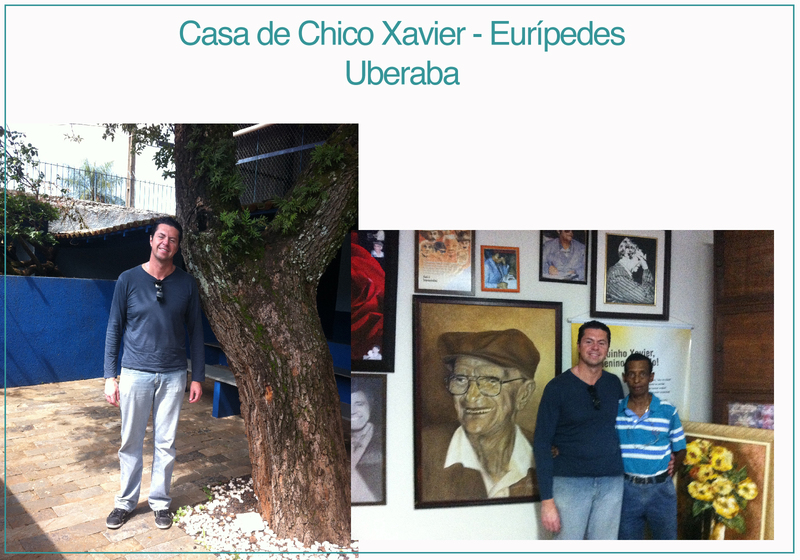 I had already been to Uberaba and personally met Eurípedes, it was a December 08, 2011, I had coffee and ate Pãezinhos de Queijo (Brazilian cheese bread) with him, who kindly showed me all the rooms, told me about Chico's stories, showed me the tree that he (Chico Xavier) had planted in the yard, as well as every complex he had built to help as many people as possible, and then I went to help cook and serve meals the more than a thousand needy people in the refectory, with him and a group of ten people. I really believe that the best way to create an evolving society in all senses is to mobilize proactively in this sense, we should start by copying the examples of people like Mokiti Okada, Teruko Sato and Chico Xavier to promote the moral improvement of people, and at the same time, in addition to giving the conditions of dignity, promote the physical and structural development to the group, considering each member as an important, reliable and talented link in a society that make us happy to work for, the common good and individual good, in one action. That being said, I took the opportunity of game day blast of good energy, when people are very happy with the victory and there is a great spiritual vibration of plural magnitude in the air, with the size of our country, and I decided to redo the drawing of Teruko Sato (illustration below) ... my Teruko Sato - Japanese woman who adopted the culture of the natives in their paintings and clothes. 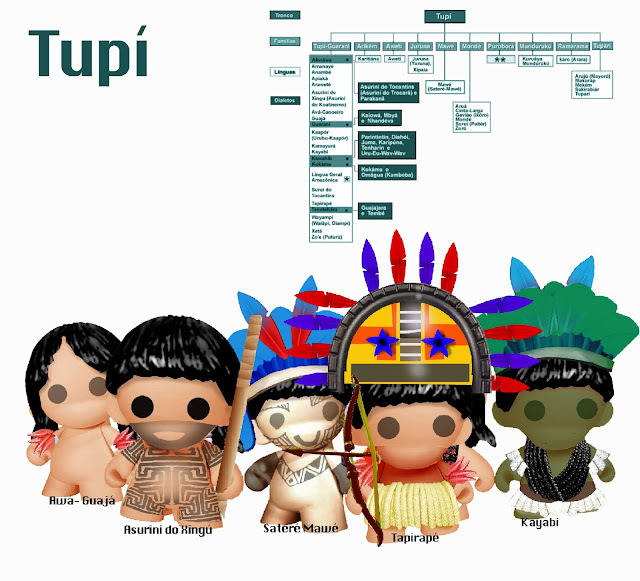 In my personal universe that evolved culture, Nipo-Tupiniquim even have name - Yvyturokai (pronounced something like "WOVOWTUROKAY" - means PARADISE in Guarani - a place where people are evolved and well educated). 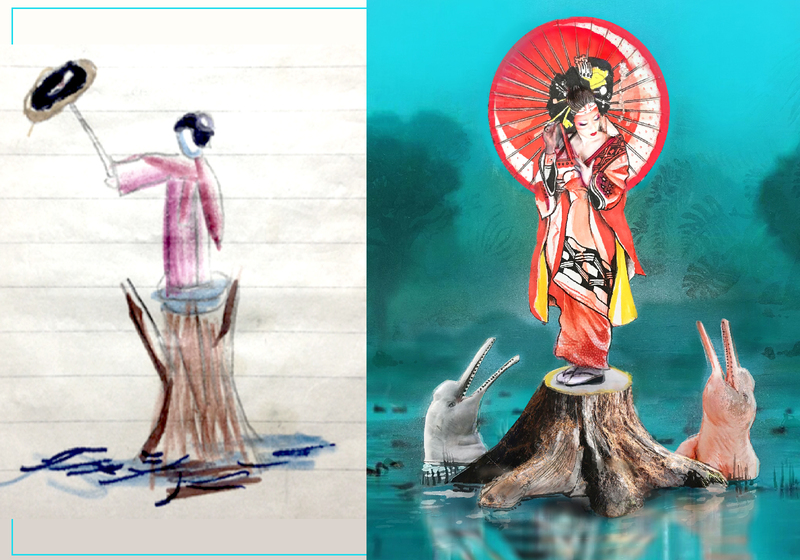 In my drawing, Teruko Sato (佐藤輝子) from my personal universe, dances gently on the cut trunk, as I drew in my childhood, in harmony with the forces of the forest, has a pink Amazon river dolphin to his left and a Tucuxi (grey Amazon river dolphin) on her right - she looks pretty much like an Avatar: the last air bender anime character. 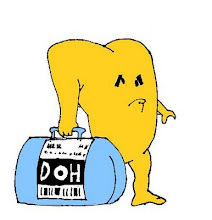 One of the things I most enjoy when I interact with Japanese people, is the way they express admiration when exposed to new things, with a pronounced surprising expression in the face, followed by followed by a long exclamation, "Ehhh". 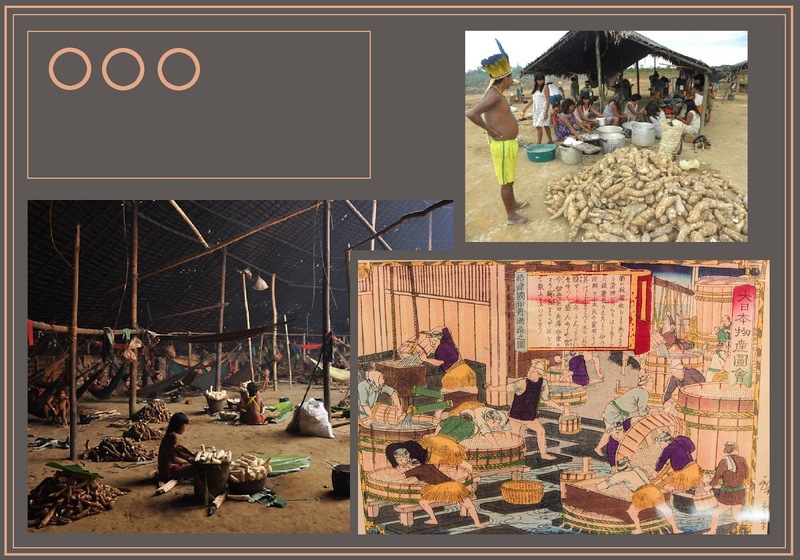 During the Heian period in Japan (794 to 1185 AD), the Chinese who visited the country, criticized everything there, they used to say that they were indigenous people, backward and uncivilized. The constant criticism made the Japanese take ownership of various traits of Chinese culture. 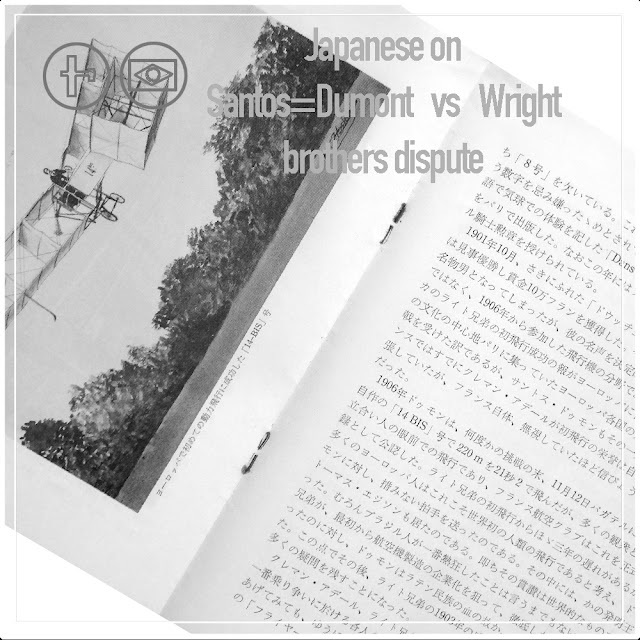 It was during this time that the term 'Mono no aware' (物の哀れ) was copiously used in one of the oldest Japanese literary works, the Genji monogatari, and the Japanese experienced the emergence of a new culture. 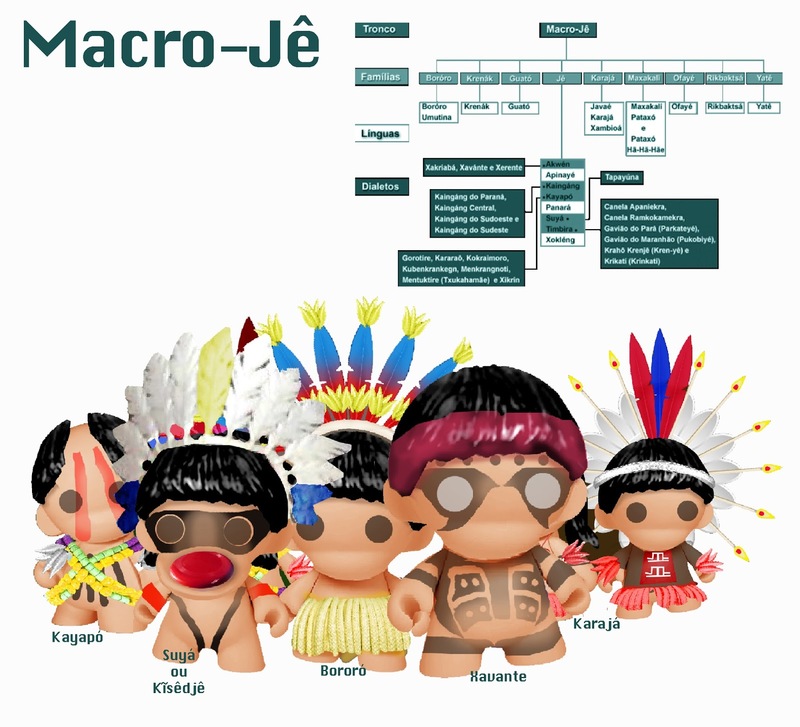 The phrase 'Mono no aware' is derived from the Japanese word mono (物), 'thing', and aware (哀れ), a surprise expression, commonly used in the Heian period, similar to 'ah' or 'oh', "Pugence," "deep feeling," "sensitivity," or "consciousness." It could be translated as the 'ahh' of things, the life of things, the inner god of things. This incorporation arose in their hearts as a God of great beauty, who grew up in the midst of their best essences, few cultures know how to appropriate the benefits of other cultures without losing their own essence as Japanese people. With that thought in mind that I present here the Py'araku movement, rather than a philosophy of life, is a Brazilian cultural and artistic manifesto, which arose from the conjectures of a blog article published in December 2012, in which I wonder "what if the culture of the Brazilian natives had stood out to that of the Portuguese colonizers in Brazil". 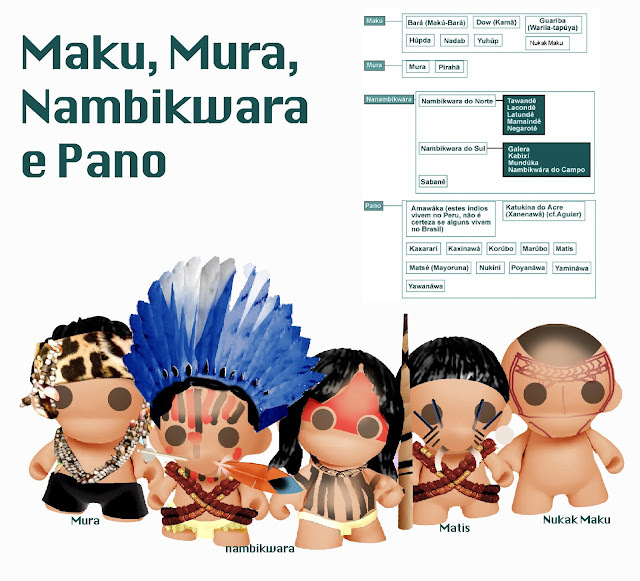 Since then, I have been reflecting on daily basis on what to do in order to valorize the good elements of Brazilian indigenous culture, as well as black and Portuguese culture, with potential for improvement, and how it could be subjected to the frame of Japanese culture (both of descendents of indigenous ancestors) Cauim, the Brazilian native booze, like sake – is the great catalyst - Cauim is undoubtedly the driving force behind this movement. Cauim has so many similarities to sake that it goes far beyond coincidence. Since the immigration of ancient peoples by the Bering Strait - the alcoholic drink in my conception, is together with the gastronomy, the main vehicle of cultural manifestation of a civilization. If we want a better Brazil, we should focus our efforts on reversing negative points, which are many, but mainly emphasize the positive points, which are also many. 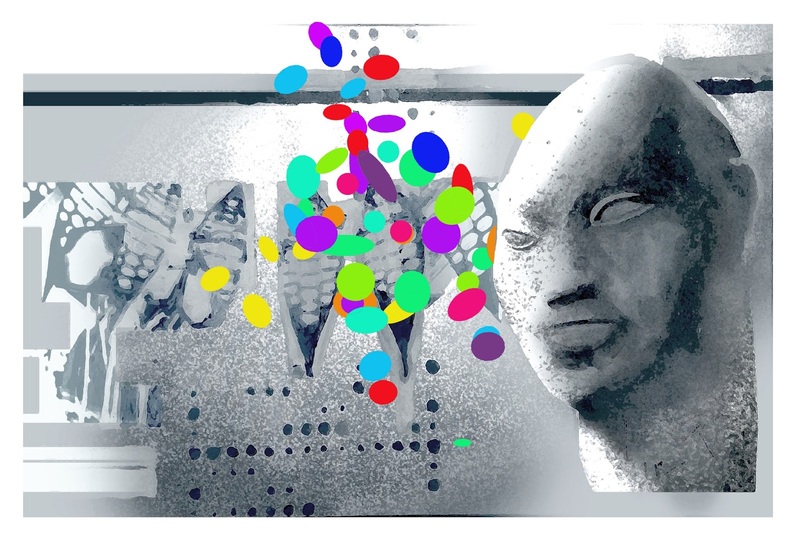 The Blog 'Ame o Brasil’, actively works the activating platform called Angatú (literally, a good soul, well being, with happiness), whose purpose is to promote love towards Brazil and Brazilian people, valuing and encouraging good stimuli, In order to make us grow and overcome the bad stimuli, until its virtual extinction. If we want it to work, we need to have a long-term conscience and it is also fundamental that we have a 'pro' attitude, never 'against' - once asked why she did not participate in anti-war demonstrations, Mother Teresa of Calcutta said she would never do it, It is a position of unquestionable logic - while the 'anti-something' movement is characterized by resistance to natural forces, a passive strategy that depends on commitment to protection, which however good it may be, are always at risk of being defeated, the 'pro-good cause' movement, in turn, is a proactive strategy to promote a good idea, increasing the potential for success to statistically greater levels. Since I started this blog, I have worked on activations of limited scope, but of great intentions. 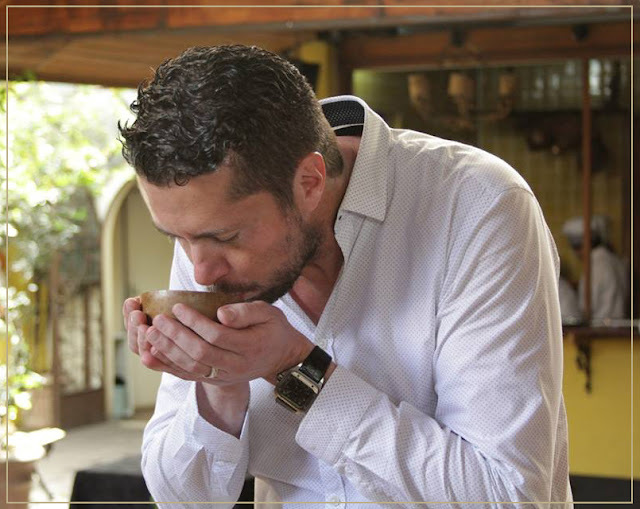 With 'Projeto Tembi-u', held in April 2015, we were pioneers in bringing ingredients from the Amazon to which awardees Brazilian bartenders create drinks, exploring the vast universe of unusual Brazilian ingredients par excellence, in detriment of the excessive appreciation of the American / European cocktail ingredientes. 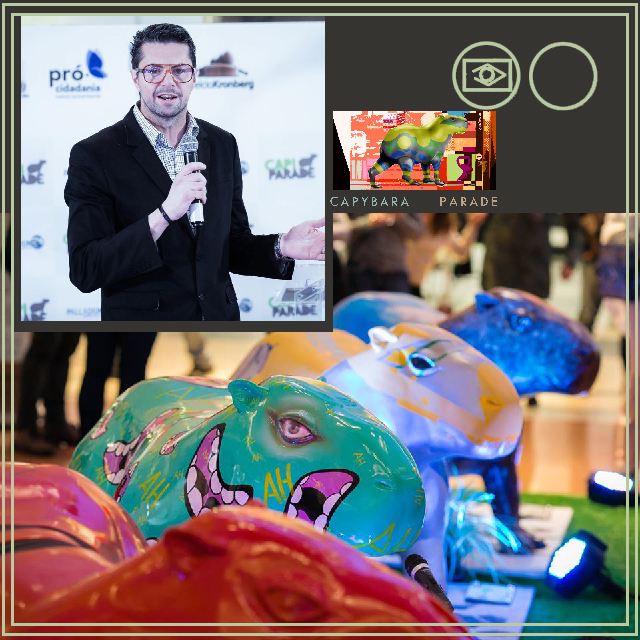 In May 2016, we promoted the first 'Capivara Parade' (http://capivaraparade.blogspot.com.br/) , on the same spirit of Cow Parade by Pascal Knapp, in partnership with Shopping Paladium, with the purpose of using capybara as an ambassador of nature in an urban environment, to raise funds for the Curitiba's clothing campaign, and the launch of the comic book Heroes da Buzundanga, bringing the Tupi-Pop culture in its essence - The logical path of these serial works leads us to launch the Py'araku Movement for the year 2017. 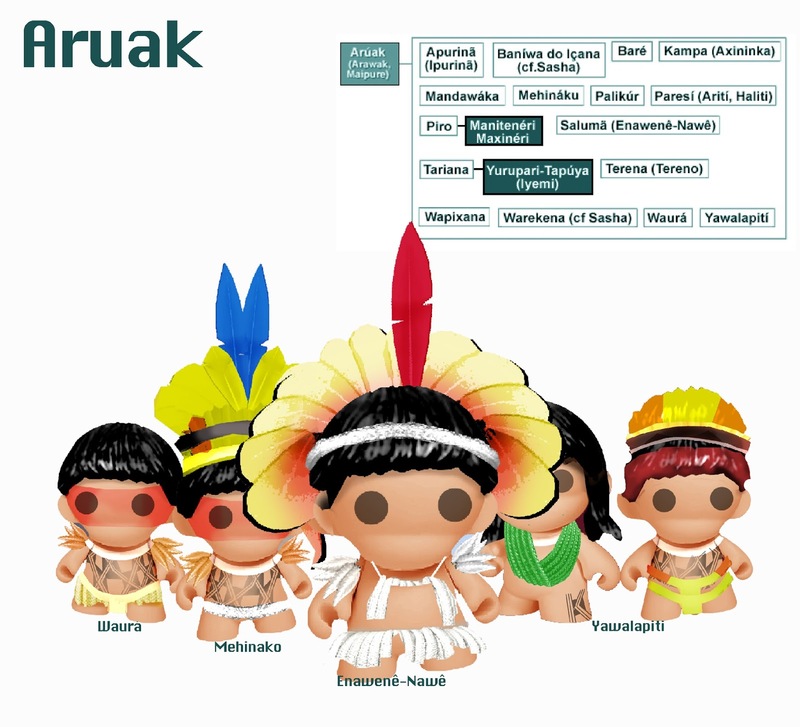 Py'araku aims to make an enthusiastic transformation agent grow in the heart of every individual who loves Brazil, native or foreign, multiplier of good practices, that enables anyone to be an ambassador of a better Brazil. In Tupi, the word Py'araku (Py, broad + Araku, Enthusiasm), literally means to make grow our inner God, to grow a warm soul, with a warm heart - a word that brings to our hearts and minds the divine force that has the power to magnify our nation through love. Even the English word 'enthusiasm', which comes from the Greek, ἐνθουσιασμός (where ἐν - interior and θεός - God and οὐσία - possessed), brings in its essence the power to promote possession by the divine, "possessed by God”). "In order to have the ideal Brazil, 'acculturation' must go hand in hand with our efforts for 'enculturation', a process of self-knowledge, in which we understand our own good practices, study them to exhaustion and then, Incentives to become common practice in our society. If we can do this with foreign wines, food and equipment in Brazil, why not do the same with prosperous native attitudes, bringing the best practices of social conduct to change our Brazil". 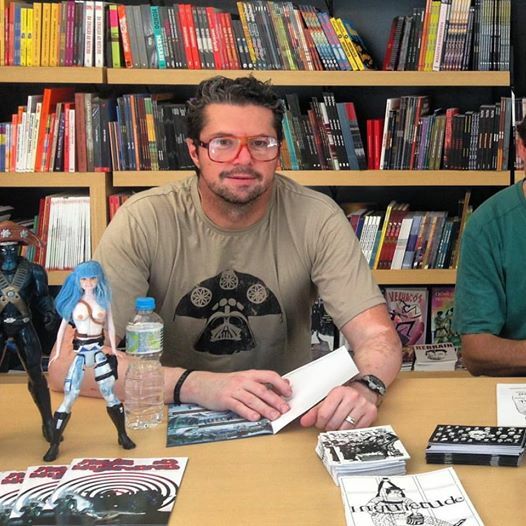 Comic Launch party took place last December 17, at the Monkix bookstore in Vila Madalena, São Paulo - Brazil. 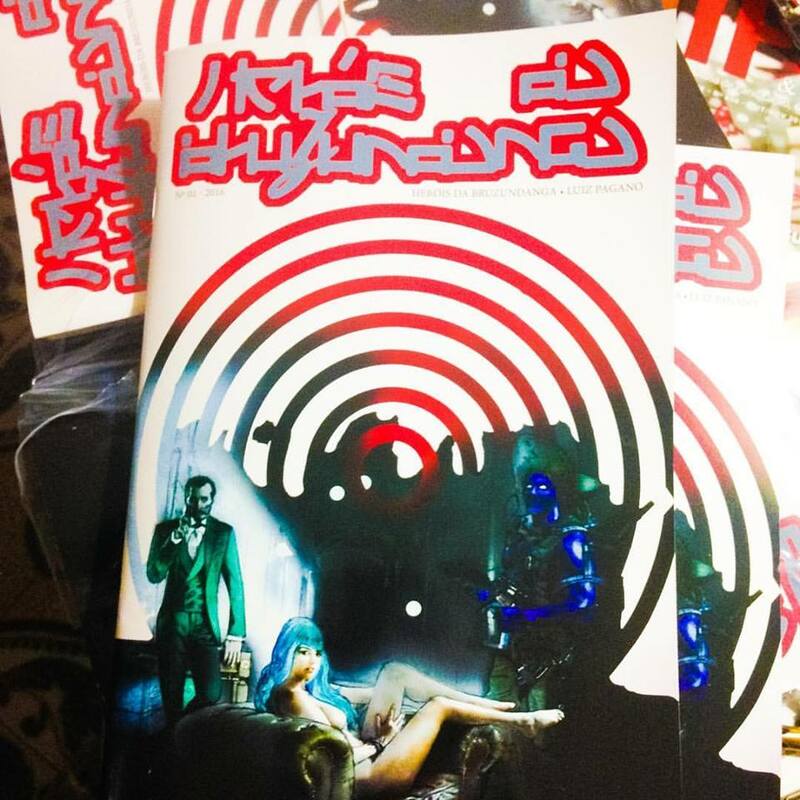 Tupi-Pop culture leaves the virtual field to be prototyped in its first edition of a comic book 'The Heroes of Bruzundanga', in which the Brazilian heroes, based on Brazilian writer Lima Barreto, to fight against crime in the turbulent land of Bruzundanga. 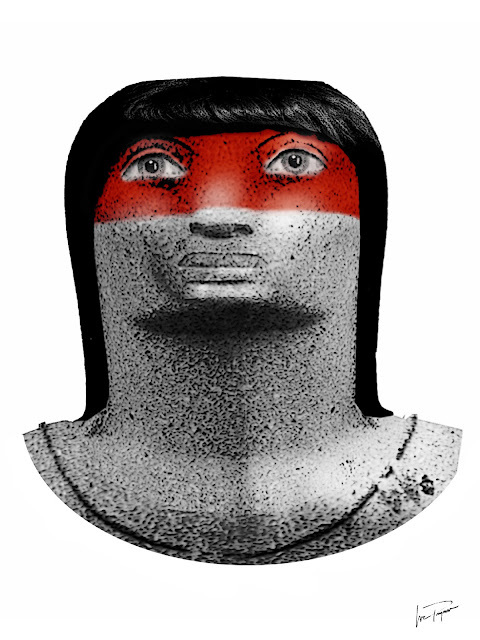 The plot takes place in the year 2093, in an alternate time line when, Brazilian antihero Policarpo Quaresma did not die, and President Floriano Peixoto adopted the reforms presented by him, two hundred years ago, Brazil is a land of great prosperity and its culture is worshiped worldwide. 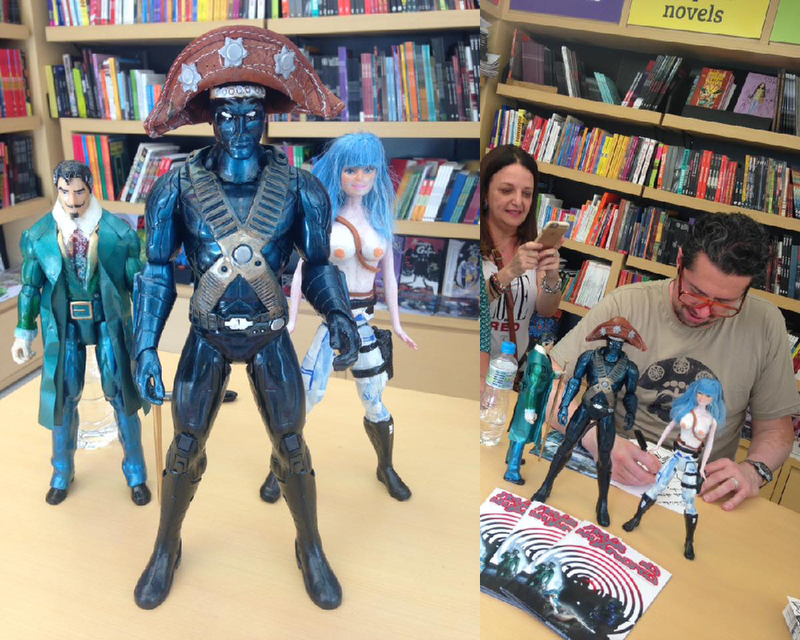 The launch of the comic took place last December 17, at Iconic Monkix bookstore in Vila Madalena, São Paulo - Brazil. The literary works of Lima Barreto perfectly serve as a backdrop to the Heroes of Bruzundanga saga, Barreto's genius is timeless, presenting love for the things of Brazil, Who reluctantly engages their force in the conflict against the impunity of twisted character villains, present in Brazilian daily lives. Autographs afternoon at the Monkix bookstore in São Paulo - Brazil. To the right, articulated Hot Toys representing the ‘cangaceiro’ Assum Preto, the Indian Mani and descendant of Policarpo, Viscount Quaresma. The Heroes of Bruzundanga came to the already extensive pantheon of deities of the world comics, they arrive with the unusual and almost impossible task of rescuing the dignity of its people. As written in the book ‘The Bruzundangas’ in 1923, by Lima Barreto, Brazil is the perfect country, an enviable economy whose infrastructure is copied by the main nations of the world, very different from the poor and backward country of Bruzundanga, with its serious problems - this one, clearly Based on real life Brazil. 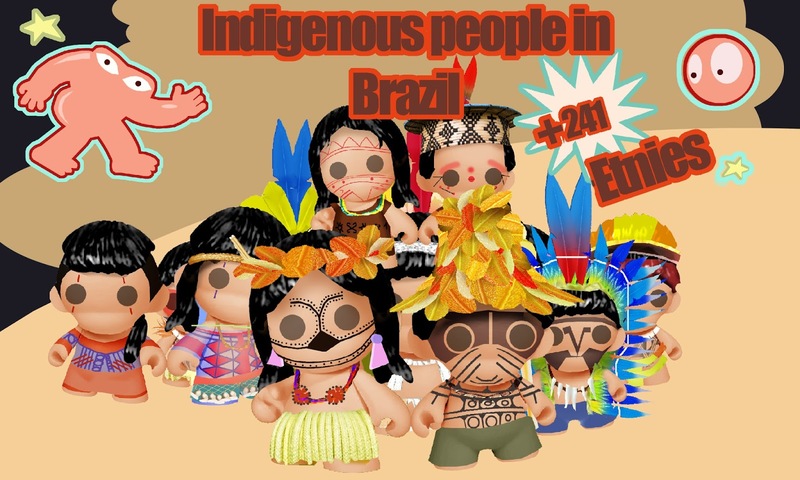 Besides Lima Barretos’ stories, Bruzundnaga Heroes adventures is also based on oral tradition of more than 300 Brazilian indigenous peoples, translated into amazing situations. Pagano narrates in his own style the saga of this charming heroes, against powerful and mysterious villains, viciously malicious and of unsurpassed practicing powers. The academic lines of Pagano’s drawings, perfectly mastered, appears here in the form of loose, simple, trembling hand lines, as a mere refined expedient of this great storyteller. We all know the importance of recycling waste, to combat the indiscriminate dispersal CO2 in the atmosphere and how fragile life is in our small planet. And yet, we have barely begun to design policies that ensure the quality of life for our future generations. The devastation caused by ancient Mayans on their lands, along with the indiscriminate felling of trees to build their temples, provoked a century drought that made them directly responsible for the degradation of their micro region, the price for their actions, was the extinction of their own civilization. The Rapa Nui of Easter Island and the people of Mesopotamia also made the same mistake. Unlike these people, we have the exact knowledge of the risks of our actions and still, we continue in the course of self-destruction. The question posed is "Why we do not stop now with these self-destructive attitudes and create new rules for serious strategies in order to ensure the well being of our future generations, for say... 500 years from now? 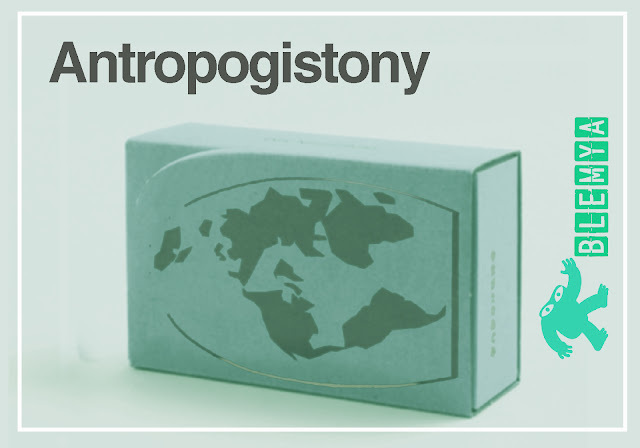 Biomimetics gives us the answer, it is the Antropogistony (Greek - οι άνθρωποι της Γης, people of Earth, and the Latin 'tone' of Latin; tension) term used by blog Blemya to describe the paralysis of the people on the planet Earth due to stress caused by panic, which makes it impossible to have attitudes by an evident problem. Playing possum, or Tonic immobility (TI) is a behavior in which some animals become apparently temporarily paralyzed and unresponsive to external stimuli. In most cases, this occurs in response to an extreme threat such as being captured by a (perceived) predator. This apparent death can be used as a defense mechanism or as a form of aggressive mimicry, and occurs in a wide range of animals. Such behavior became popular after appearing in an episode of Mythbusters TV series that showed myotonic goats, otherwise known as 'the fainting goat', in which these animals freeze its muscles for about 3 seconds when in panic, and the results, the animal collapse falling sideways with rigid legs. Another possibility is that we have a gap between action and ideation caused by our lack of ability to apply intelligence in its full scope. According to Neil deGrasse Tyson, scientific disseminator of COSMOS series, taking into the account the time of existence of life on earth, our intelligence is very recent, and it is not active part of our survival reflexes. We’re not sure yet how to deal with it, a good example is the way that millions of people’s intelligence were and still is, naively manipulated by political and/or religious leaders, for different purposes. The recurrent claim is that prophylaxis is expensive. Well then wait to see the price of medicines - ecological control measures such as the cleaning and maintenance of life in the rivers, the liability of companies recycle their own packaging after the consumers use (extended producer responsibility - EPR), among others, can really have additional costs that affect the final result of the companies, but believe me, the remedy can be exponentially more expensive as time goes on. A predator at the sight of his prey instinctively stands against the wind, hides in the grass and creates hunting strategies and well formulated by reflex action. In our case, this gap between what we know what is right by reasoning, and the effective placement of these strategies into practice makes us static. We are comfortable in an economic system that emerged when the air, the rivers and the seas seemed to be unlimited resources, and that would never be subject to any damage caused by us. We follow our shortsighted course, with an obvious fatal end, waiting for someone to change the rules of the game. 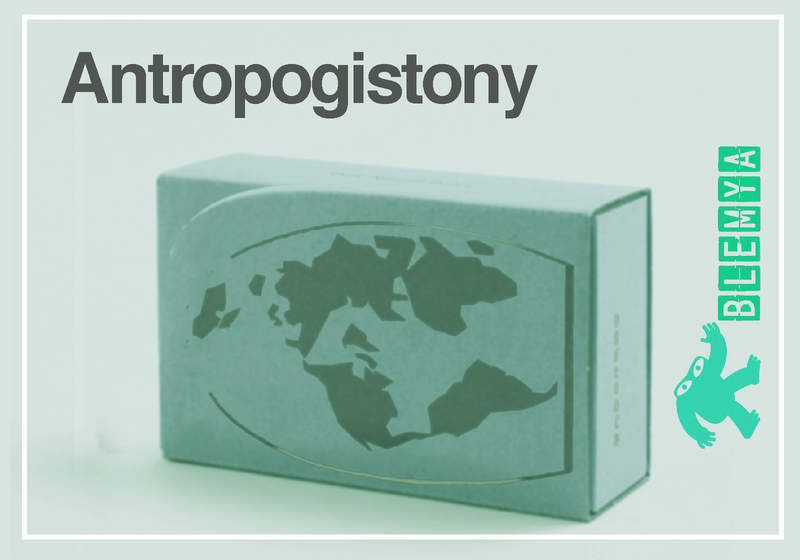 The sad conclusion that our antropogistonic civilization may come is that perhaps it may never happen. 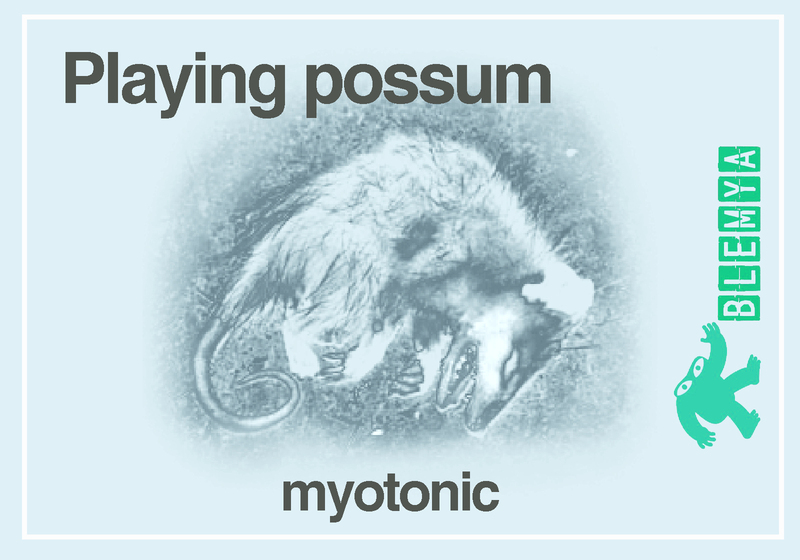 The cure for antropogistonia might be found also with the help of biomimetic studies, but we are already aware about our sickness, by that we might have the chance to cure ourselves by entering, each one of us in the individual process of nature healing. 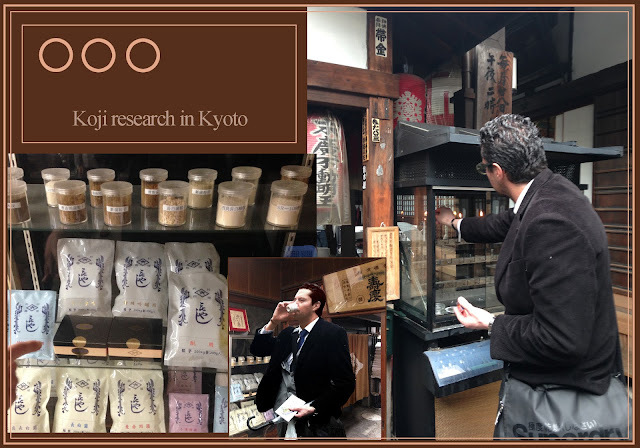 The latest research on the Cauim and how this beverage could be produced on a large scale, with high quality standard, generated a number of difficulties, which oddly enough, the only obtained solution was found by researching the old methods of sake of production. The sake and cauim has much in common, almost two thousand years ago, the Japanese believed that sake could only be produced if the rice were pre-chewed by virgins, known as bijinshu or 美人酒 or ʺbeatiful women of sake”, the same happens in Brazil, tribes of almost all indigenous ethnic groups have virgins who chew manioc (sort of Brazilian cassava) and spit in a pot so that can ferment. Actually, the alcoholic fermentation only occurs when fungi transform sugars into alcohol, rice as much as cassava contains no sugar in natura, so they are not ready for fermentation, so chewing, not necessarily by virgins, becomes necessary, human saliva contains an enzyme called amylases, which breaks down starch molecules into sugar. Other countries produce starch wines around the world, Chicha made from corn in Central America, the Cheongju a type of rice wine of Korea and Hariya also made out of rice in India. It is well known that long before the arrival of Europeans, people coming from Asia were already living in the Americas. 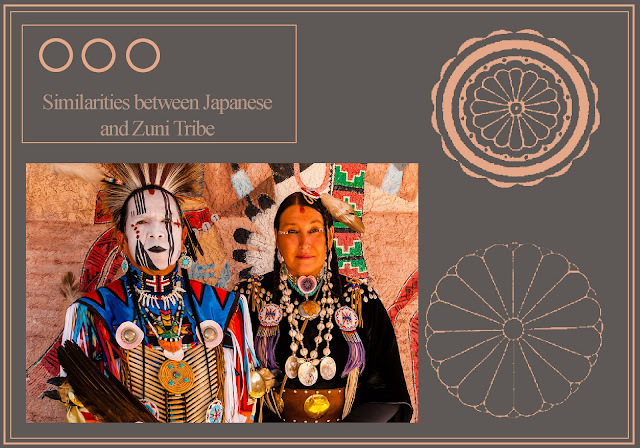 The Zuni tribe has left perplexed anthropologists with their language, they speak a language so similar to the Japanese that could hardly be seen as coincidence. Some similar words as for example; To be Inside in Japanese is 'uchi', in Zuni is also 'Uchi', the word used in Japanese for Yes is 'Hai' for both languages, and thus continues for many other words. Both Zuni and Japanese use the verb as the last word of a sentence, a feature only 45% of languages share. This might not seem like much, but the Zuni language is very different in this than other languages around them. Davis; Nancy Yaw; "The Zuni Enigma," NEARA Journal, 27:39, Summer/Fall 1993. NEARA = New England Antiquities Research Association. 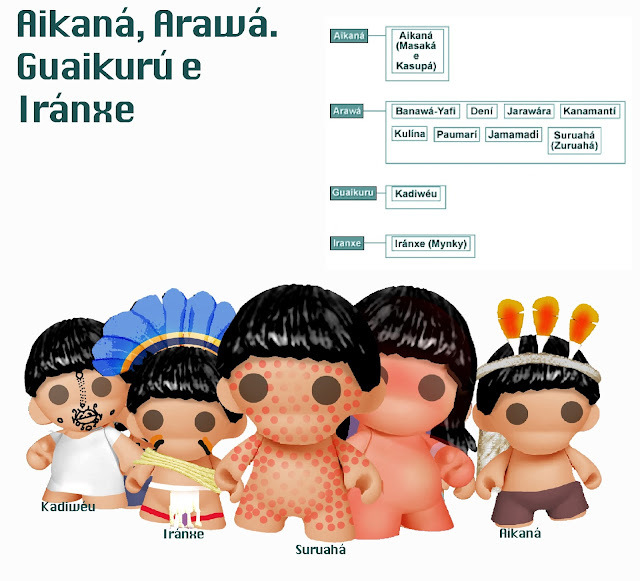 My research on the production of cauim, which began by the chewing process, and went to the use of synthetic amylase and inevitably led me to use fungi, technique used in Japan and in Brazil by producer tiquira from the Brazilian states of Piaui and Maranhão. In a methodical manner I was taken to visit factories in Piauí, Maranhão and finally in Japan, where I had an illuminating insight. I’m graduated in international business, I wanted to know the culture of the peoples around the world, after the initial frustration in financial market, I’ve found in alcoholic beverages the perfect vehicle to become intimate to cultural knowledge. An alcoholic beverage goes far beyond mere fluid that make us drunk, they are closely related to the human soul. Take a Burgundy wine and understand the spirit of its people, the wine is closely linked to the Catholic religion, is an essential part of the Eucharistic and thus, vines were tested in churches in different parts around the globe, creating wines that expresses in better or worse forms, in the various terroires all around the world. Luiz Pagano drinking in a calabash - to drink cauim and/or its variations the Indigenous peoples hold the bowl with both hands, in contemplative gesture as Japanese people does. The same goes for the sake, which is closely related the Shinto and Buddhist religions in Japan. 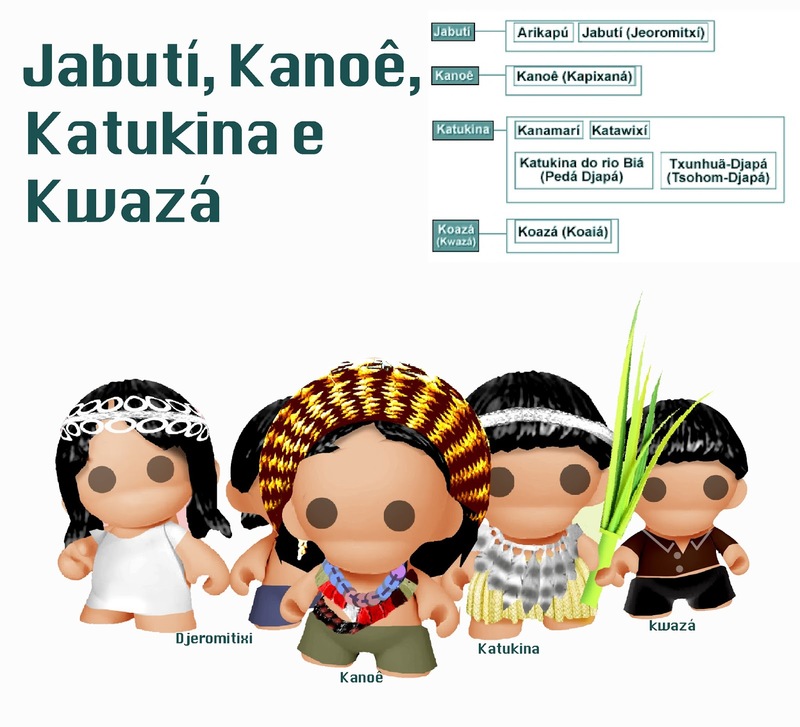 The traditional religious beliefs of the Japanese people, in common with most of Brazil's indigenous peoples, are a based upon a mixture of respect for the abundance of nature, a fear of natural disasters, and respect for ancestors. The concept of god in Japan is not that of an omnipotent creator of all things like we believe in occident. According to Daimon Yasutaka, sixth-generation Japanese sake brewer, owner of Daimon Brewery, producer of Mukune Junmai Ginjo and Tozai Honjozo and Nigorion, head of Japanese Sake Export Association (SEA) the “Naorai”, the act of first offer food and drink to the gods is related to yearly festivals, called "matsuri" in Japan (very similar ideas are found in Brazilian indigenous tribes). All this rich spiritual involvement that I noticed with the trip, along with the huge accumulated knowledge for hundreds of years of the Japanese people, made me realize that the different varieties of Koji (麹 菌 Koji-kin, fungi used to replace the saliva of virgins) together with multiple production characteristics that go far beyond the simple breakdown of starch to obtain the alcohol, (different types of koji also has the property to break down proteins and lipids, offering multiple options), reaching an infinite range of flavors of options that only the spirit of an artist is able to conceive. Behold! A new world of flavors is about to present itself when the first bottles of cauim start moving out of several Brazilian producers. The Capybara is an ambassador of nature, the dare to arrive to the Brazilian cities and to swim in its heavy polluted rivers. Capivara Parade was created in 2008 by Luiz Pagano, with the purpose of calling public attention to the indifference that public administrators have with Brazilian waters. Last May 23 in the city of Curitiba-Brazil, a Capybara Parade entitled 'Capi Parade' was launched in the same format of Pascal Knapp’s CowParade, at Palladium Shopping Center, "The capybara is a symbol of Curitiba, besides being an extremely adaptable animal is often found in man-altered environments," says marketing manager Palladium, Maria Aparecida de Oliveira, who decided to show 8 capybaras in allusion to the eighth anniversary inauguration of the mall. 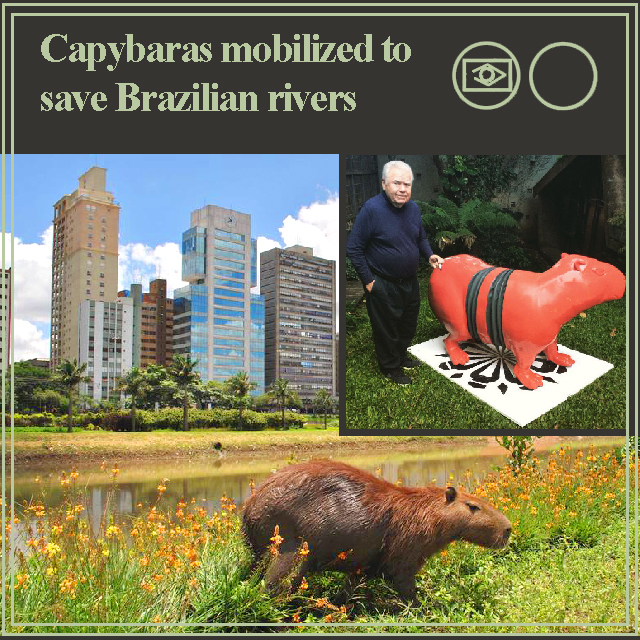 According to Luiz Pagano, creator of 'Capybara Parade movement', public mobilization that lead to decontamination of rivers in other cities of the world, such as the River Thames in London and the Han River in South Korea, has not happened in Brazil, 'Capybara Parade' was created in 2008, with the purpose of calling public attention to the indifference that public administrators have towards Brazilian waters. After the incident in which a dam holding back water from an iron ore burst near Mariana contaminate lots of rivers in the state of Minas Gerais, and a few months left to the opening of Olympics games, with the waters of the bay of Guanabara completely filthy, Brazilian authorities really shows the total ineptitude with regard to the basic care that the rivers and lakes of almost every Brazilian cities should have. And it is in this scenario that the capybara surges as a hero. The world's largest rodent that lives in the Brazilian forests boldly appears swimming in rivers highly polluted cities of São Paulo and Rio de Janeiro and walking in groups along its banks. “The Capybara is an ambassador of nature, dare to arrive in the cities and to swim in the rivers and lakes that we degrade, they seem to show us as a protest, that the rivers of our cities are no latrines, but spaces for living and beauty” says Luiz Pagano. The exhibition at Palladium Mall in Curitiba, which began on May 23, goes up to June 5. On 4 and 5 June, the children who pass through the mall can paint mini plaster capybaras. "The intention of the Palladium is to aware the children about the preservation of nature, as well as providing a playful experience of painting," adds marketing manager. To celebrate the World Environment Day, from 6 to 12 June. 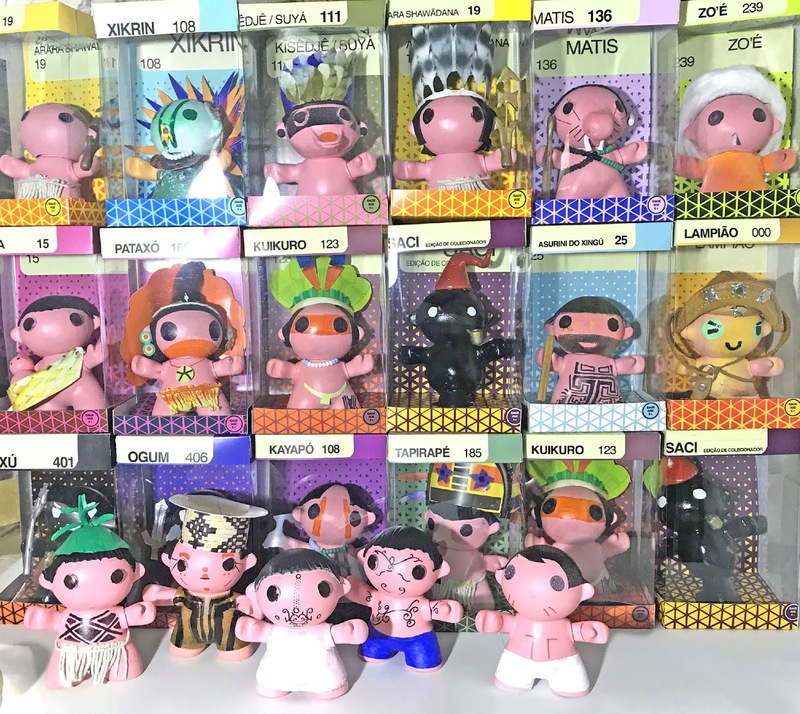 the ‘Capi Parade’ leaves in flock to the itinerant exhibition in various touristic sights of Curitiba, at the end of the action, the pieces will be donated and auctioned by the auctioneer Helcio Kronberg. The value fetched from the auction, the auctioneer's commission and the work of artists are donations and will be reversed in blankets to the campaign 'Donate Heat', of Curitiba performed by the Pro-Citizenship Institute and the Social Action Foundation ( FAS). The event also includes the participations Brazilian celebrities, the 'Capybara Bi-articulated' had artistic intervention of architect and urban planner Jaime Lerner, in reference to the bus created by him, another wears a jersey of Brazilian soccer selection that will be autographed by Pelé, the king of football, after the auction, with a dedication to the winning bidder.